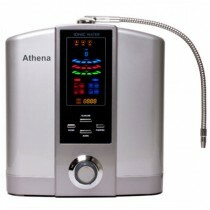 One of the finest water filters available at a mind boggling 0.01 microns! A hollow-membrane, silver-impregnated granulated carbon, calcium and tourmaline filter. 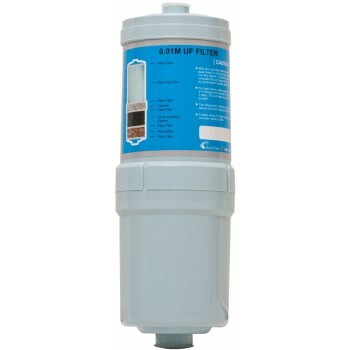 The 0.01M Biostone filter features hollow-membrane filtration as well as NSF certified activated carbon, natural mineral calcium and ceramic filtration certified by the Korean FDA. Filter housing sealing is achieved by using high motion heat friction thereby avoiding the need for any harmful chemicals. 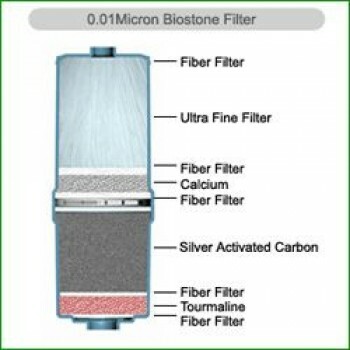 Biostone .01 Micron hollow membrane / carbon filter - also called a hollow membrane filter – because there are hundreds of hollow membrane filter fibres for superior filtration performance. 0.01M is the same size filter that is used in kidney dialysis and is the finest domestic filter available. 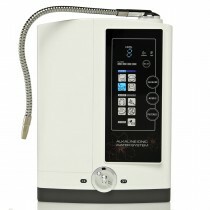 The Biostone 0.01M will remove virtually all contaminants except for the essential alkalising minerals. 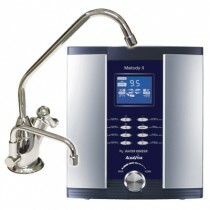 For most applications the 0.1 Micron will be more than sufficient, but in some applications or for specific water quality concerns (such as well water) the 0.01 Micron provides an additional level of filtration. Please note: this filter will require more frequent replacement, Jupiter / Emco Tech recommend replacement every six months.